The Moscow Kremlin is the symbol of Russian statehood, one of the largest architectural ensembles of the world, the richest treasury of historical relics and cultural monuments. It is situated on the Borovitsky hill, on the left bank of the Moskva River, where Neglinnaya River flows in it. The name of the town comes from the Slavic settlement which appeared there at the turn of the 11th-12th centuries. The first written record of Moscow dates back to 1147, to the reign of Great Prince Yury of Kiev, Vladimir Monomakh's son. For his unification policy, he was nicknamed ‘Dolgoruky’ (literally ‘long-armed’), i.e. the one who reached out for other principalities. Under Prince Dmitry Donskoy in 1367-1368, the white-stone walls and towers of the Kremlin were erected and Moscow began to be called ‘the white-stone’. In 1485-1495, the Kremlin was totally rebuilt. It was then that the first brick buildings appeared there and it largely acquired its present appearance and dimensions. The Kremlin was а fortress city within the city, as well as the concentration of state and spiritual power. Since time immemorial the Moscow Kremlin had been the residence of the Russian tsars and hierarchs of the Russian Orthodox Church. When St. Petersburg was made the state capital, the Kremlin remained its significance as a national shrine of Russia, and according to tradition, the Russian tsars were still coronated in Moscow. In 1917 the Soviet government transferred the capital back to Moscow. 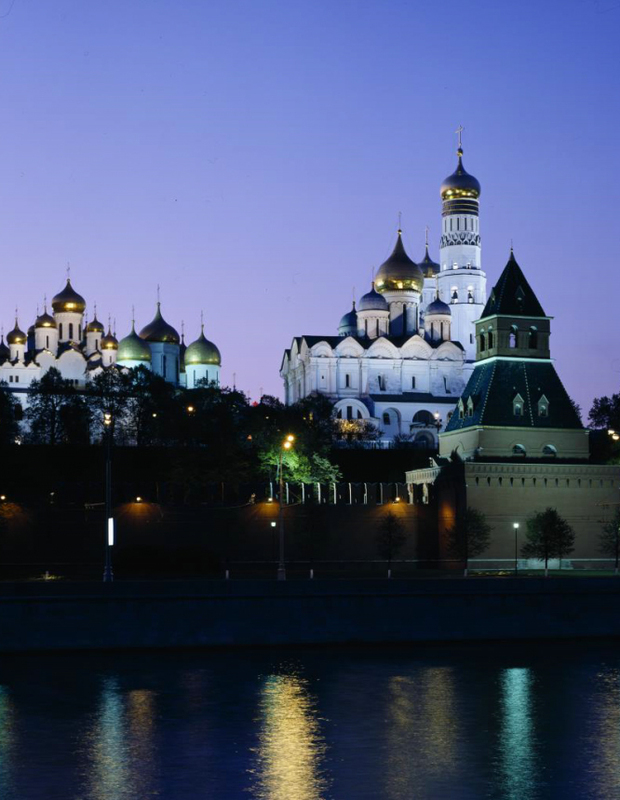 Due to the special status of the Kremlin, its architectural and artistic ensemble was erected with the participation of the leading Russian and foreign masters. 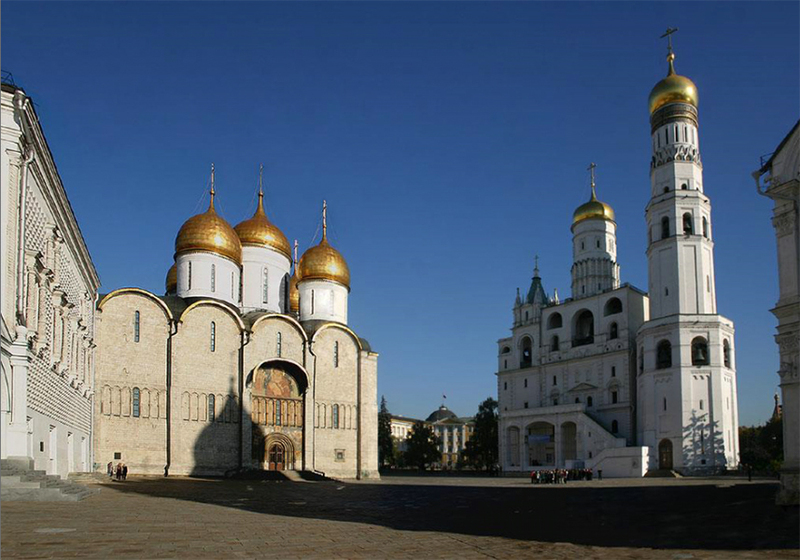 Heavy walls and towers, the majestic Cathedral Square, golden-domed churches, tsars’ palaces and chambers made the Kremlin appearance in the Middle Ages. In the 18th-20th centuries, new palaces, big administrative and museum buildings appeared there too. Nevertheless, the Kremlin remained its uniqueness and national peculiarity. Unfortunately, the Soviet period was marked with the loss of a number of significant architectural monuments, namely the churches of the Chudov and the Ascension monasteries of the 16th century and the monastic living quarters of the 17th century, the Red Porch of the Faceted Chamber of the 15th-19th centuries and the monuments of Classicism of the 18th-19th centuries – the Small Nicolas Palace and the former building of the Armoury. The territory of the Moscow Kremlin was closed for ordinary citizens then. It was only in 1955 when its unique museums became accessible to everyone again. 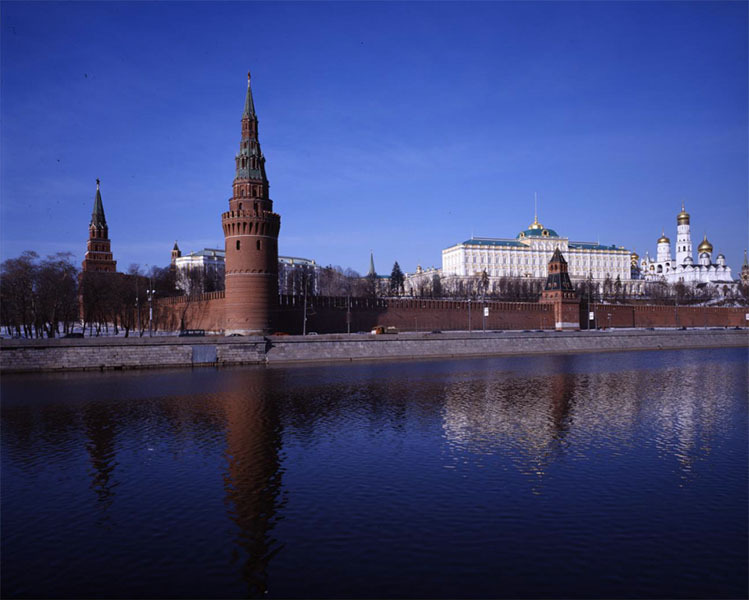 Since 1991, the Kremlin has been the residence of the President of the Russian Federation. Church services have been resumed in the old cathedrals and the Kremlin bells which had been silent for over 70 years have come to life. On December 1990, the architectural ensemble of the Kremlin and Red Square were included into the UNESCO List of World Heritage as outstanding monuments of the art of building of universal importance.